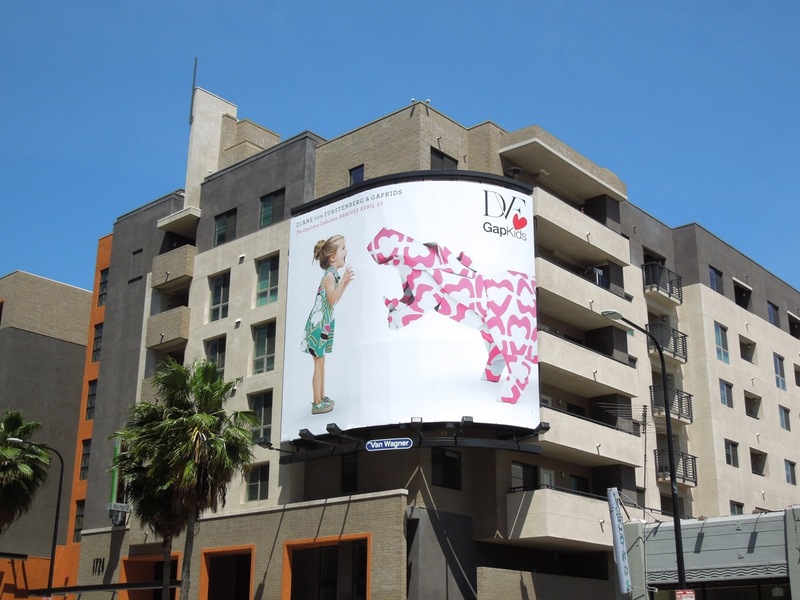 What a fun way to start the week. 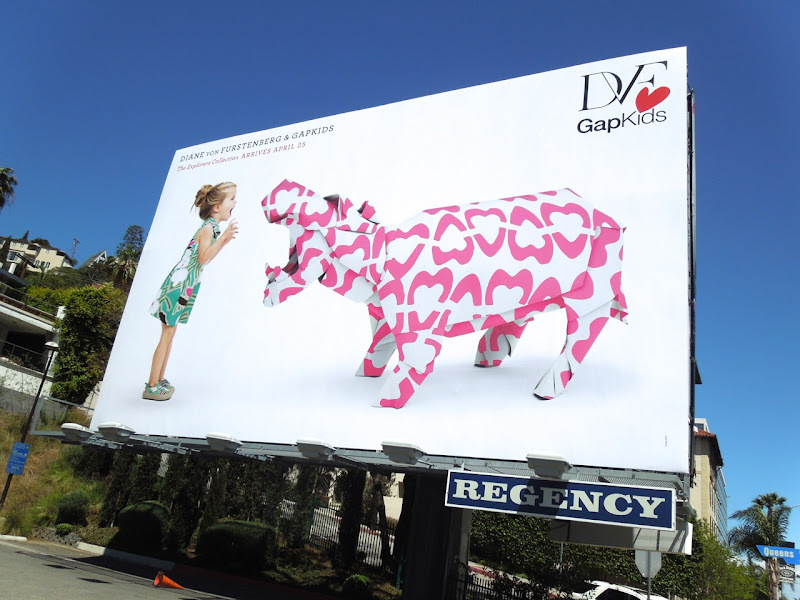 What's not to love about colourful hippos and elephants playing with cute kids? 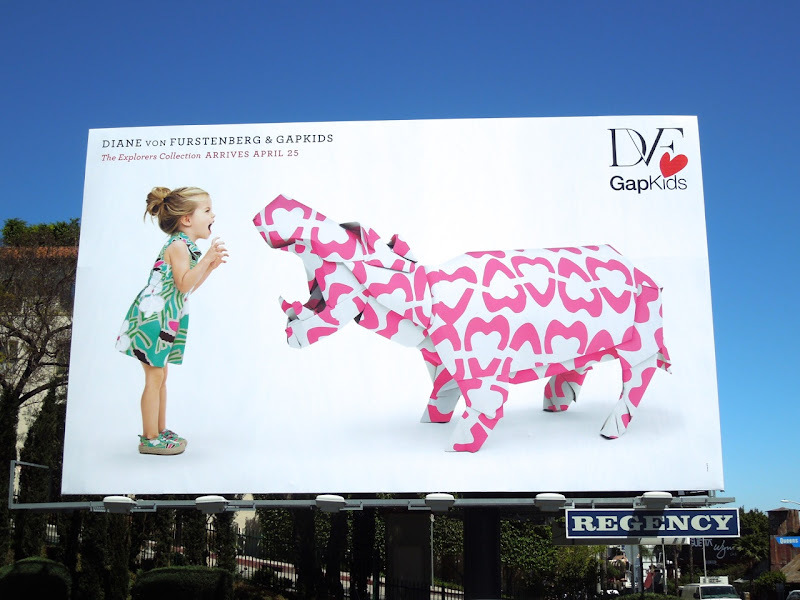 Especially when those life-size origami animals are covered in Diane Von Furstenburg prints for DVF & Gap Kids new Explorers Collection. 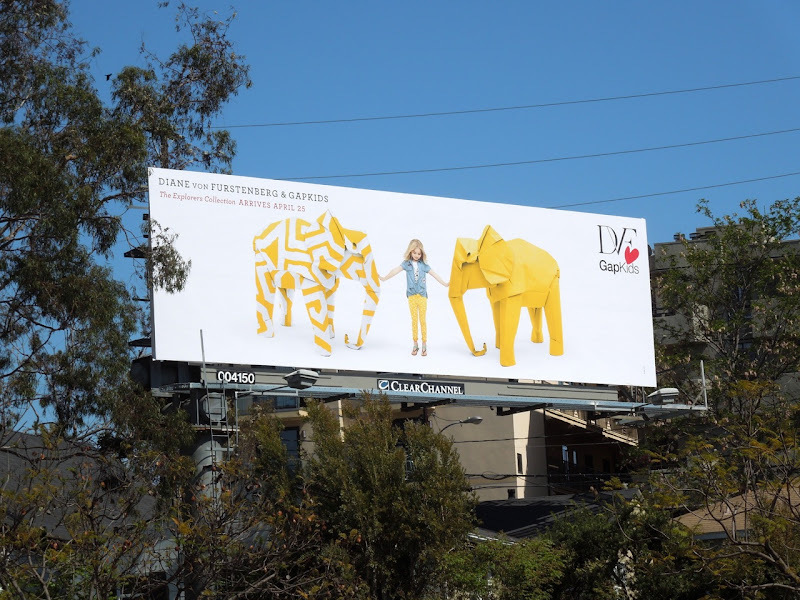 These vibrant and whimsical creatives really are a lot of fun and are totally eye-catching lining the streets and skies of L.A. 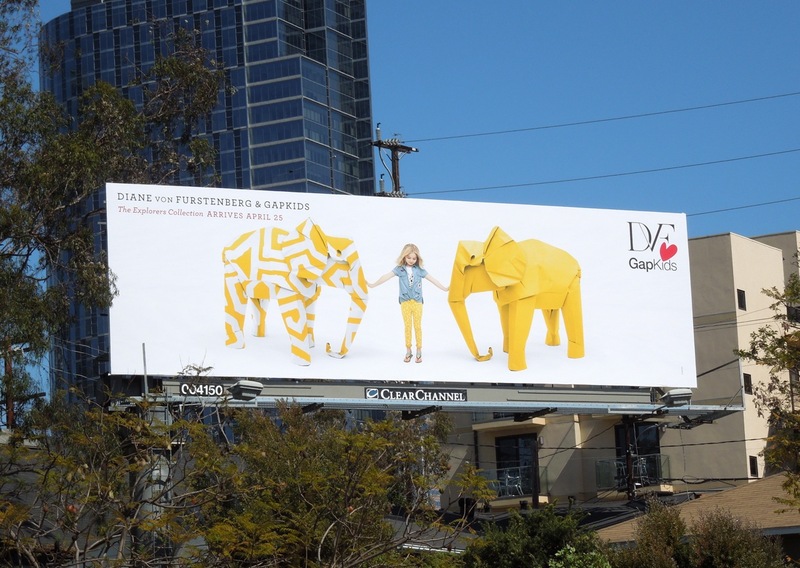 These adorable billboards for the Explorers Collection were snapped along the Sunset Strip, Santa Monica Boulevard and at Hollywood & Highland (opposite the Gap store) from April 16 to April 22, 2013. 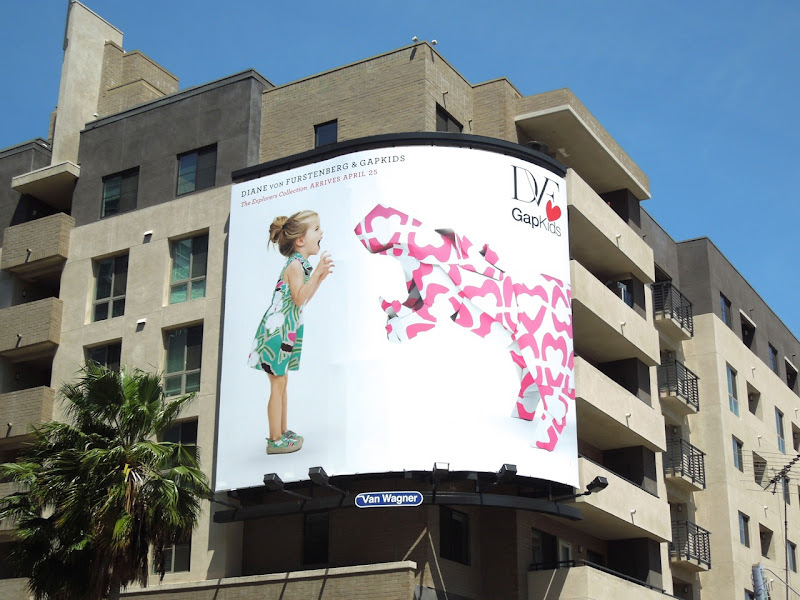 Plus if you're looking for the ultimate cuteness factor, then you should also check out this Baby Gap Love at first sight billboard campaign. 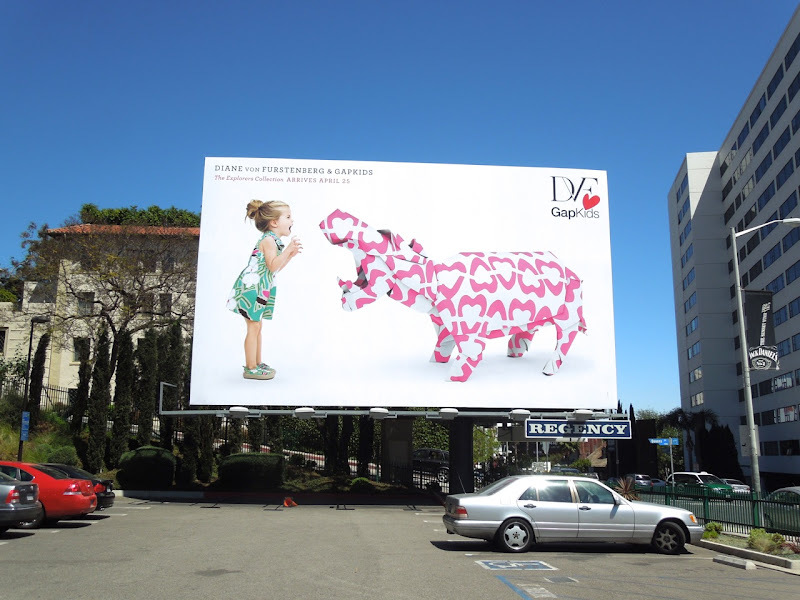 If you like Daily Billboard, be sure to share the joy. 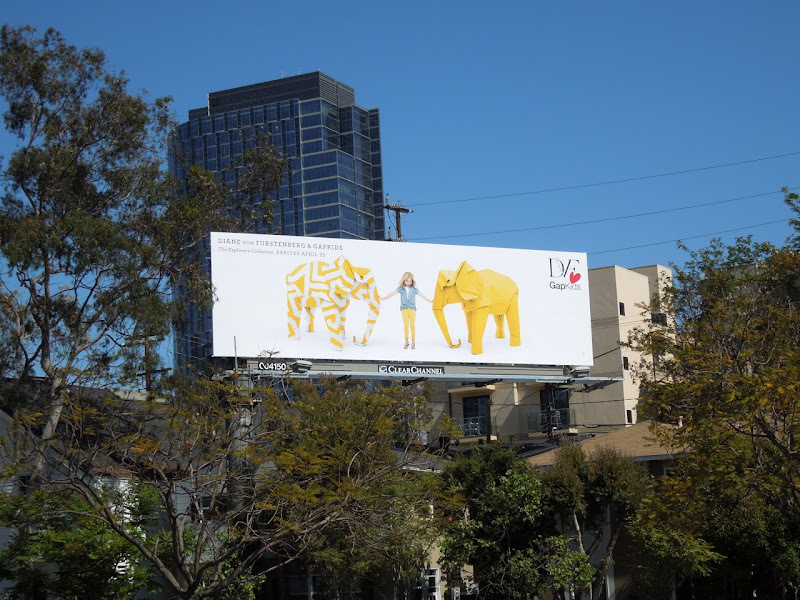 Re-tweet, like, pin and +1 to your hearts content, plus join in the conversation and post a comment and let us know what you think of the billboards featured here every day.